Women’s Learn to Ride Clinic! Is this your first season of group riding? Would you like to prepare for a Gran Fondo? Join us for a clinic that will help you gain confidence and develop your group riding skills, in a fun, safe and non-intimidating environment. Sprinting and cornering. Get comfortable riding in the drops, out of the saddle, and leaning the bike through corners. Bike maintenance and fit at West Point Cycles. Open to club members and non-members, you should be comfortable riding your bike for two hours, at a moderate pace. Led by the Women's Race Ambassador Team with a combination of National Coaching Certification Program (NCCP) accreditation, and extensive years of training, performance and competitive experience. West Point Cycles first supported ride of 2018 will take place on May 21st along the Washington coast through beautiful Whatcom County. Come ride with a great bunch of people and take advantage of a support vehicle, refreshment table, and pre-ordered lunches! Important note: There is a ticket option for Glotman Simpson Club Members that is a no charge ticket option. We do need everyone who attends to be registered. You can purchase the picnic lunch through the website at the same time as you register. You’re invited to join the GS Sunshine Coast Ride, Friday, June 1st. This fantastic ride begins and ends at the Langdale ferry terminal, travels north along the Sunshine Coast Hwy, dipping onto quiet roads, staying near the coast, past Sechelt, Halfmoon Bay and Secret Cove to the lunch spot and turn-a-round at Madeira Park. The ride is approximately 125km with 1300m of elevation gain throughout the day. We will meet at the Horseshoe Bay ferry terminal for the 7:20am departure to Langdale. There are two return ferry departures from Langdale for Horseshoe Bay: 3:15pm or 5:25pm. A pit stop at Persephone Brewing Company before returning on the Langdale ferry is a must. Everyone is responsible for personal expenses for the ferry and food. To sign up please fill out the signup sheet and email Paul Tinsley if you have any questions. The Summer GS store will be open from May 16th until midnight on May 26th. All the regular items are available in addition to base layers and new casual clothing. And yes! We will have jerseys available for pick up during the event. The organizers of The Prospera Valley Fondo have extended discounted entry fees to GS club members. Register now with the rest of the GS team until June 15 for $150 or $175 thereafter. Follow the link below and take advantage of the offer! 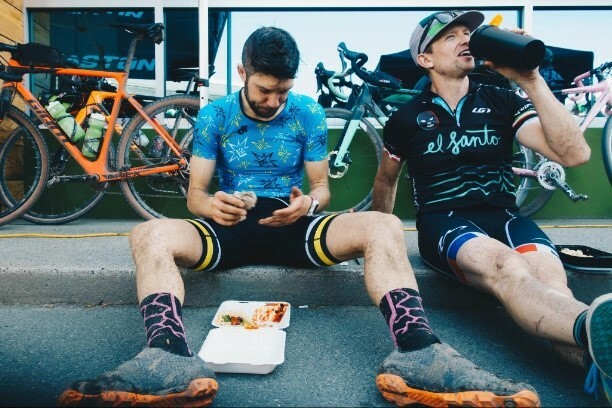 After the beautiful Valley ride with your teammates, relax, unwind and relive your day at the GS tent in the beer garden. Every year, the Tour de Bloom stage race in Wenatchee, Washington draws GS racers from across all categories. Janna Gillick and Jess Daniels represented our Cat 2, and Rebecca Cohen, Krista Matthews, Katie Fitzmaurice and myself (Sonia Taylor) in Cat 3. Our races were combined as Cat 1/2/3, but scored separately. We felt confident going into the first stage on Friday. An undulating 80km road race with a 5 minute climb to the finish suited our well rounded squad. Unfortunately Janna, Rebecca, Katie and Krista were all caught up in crashes during the stage. While Krista was OK to continue racing, the other three were injured and we wish them all the speediest of recoveries. Following Stage 1, I was in 2nd place in the Cat 3 GC sitting 6 seconds behind the leader. Our now reduced squad of Krista, Jess and myself went into the weekend with the goal of defending this position for the remaining 3 stages. Saturday saw a very windy 15km time trial in the morning, where Krista and Jess both put in strong efforts; Krista claimed 3rd place for the stage. Saturday evening was the downtown criterium, which, despite some major pre-race nerves turned out to be an unexpected success. The final stage on Sunday was a very windy 55km road race where teamwork and perseverance were key. Krista put in a heroic effort during the final kilometers to keep me sheltered from the wind, allowing me to keep my legs fresh to outsprint the closest GC rival and protect our 2nd place for the weekend. Despite some bad luck and setbacks, the GS women displayed strong and smart racing throughout the race with Krista finishing 8th in the Cat 3 GC and Jess 11th in Cat 1/2. GS had good representation in Wenatchee and found their team mojo at The Tour De Bloom. Both the Cat 3 team and the Cat ½ team placed 4th in the exciting downtown, twilight crit. The race played out mostly as expected, and we all did what we needed to do for the first 30 minutes. Jeff went for a $100 Prime and nearly got it, but Florenz flew past him at the end to add to his mounting airfare-back-to-Europe fund. At the 45min mark, Amiel got into position on the outside, following me (Jem Arnold), lurking near the front and out of the danger. Jeff had legs to spare and came up to do a ton of chasing work in the final 10 laps. Amiel and I were in perfect position with 2 laps to go. Then, on Corner 1 going into the uphill with 2-to-go there was a crash behind us. The crash had been worse than we thought and the race was neutralized. As we rolled to sit on the start gate and wait for the restart, we had mixed emotions: Not being able to finish on our hard work was frustrating but was secondary to the satisfaction of successfully executing the plan and the process. Whatever happened after this, we had already achieved our primary process goals. We sat on the start line for over 15 minutes. Lungs tightening, legs getting cold. Adrenaline and caffeine wearing off. Then it came time to restart the final 5 laps. Amiel launched and got on the wheels of Florenz and Zach, the two most threatening sprinters. He made up a few positions along the back straight, before diving into the last downhill corner. He dodged a couple TRT leadout men as they pulled off and nearly chased down Zach the US Track Champ. Amiel sprinted to cross the line in 4th place. By far our best result at this Crit.